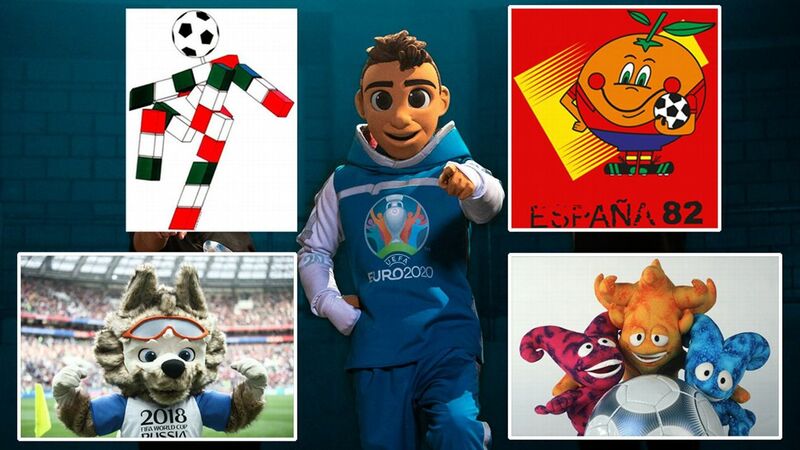 Is Euro 2020's Skillzy among best/worst international mascots? It's the Toe Poke review of 2018! Andreas Pereira picked Brazil over Belgium. Now what? 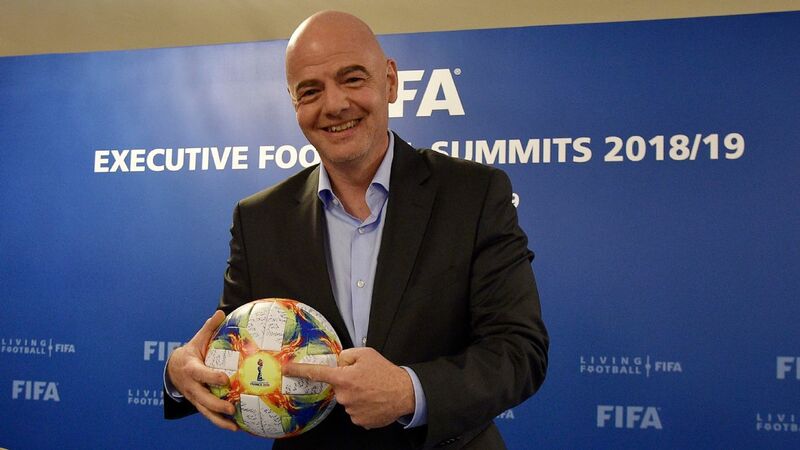 Is Infantino ending transparency at FIFA? ESPN's team of reporters in Russia have messages for birthday boy Lionel Messi as he faces elimination. Meanwhile, England fans are in high spirits. SOCHI, Russia -- It was during the national anthems before Argentina's humbling 3-0 defeat against Croatia last Thursday that Lionel Messi let his guard down for all the world to see just what it is like to be him, wearing the No. 10 shirt, for his country. As the camera focused on Messi, the Barcelona forward shielded his eyes with his hand like a shy schoolboy desperate not to be the centre of attention. But the lens was fixed long enough to highlight a crucial difference between the 31-year-old and the man he is always compared to, Cristiano Ronaldo. In a similar scenario -- a prematch run down the lineups during the anthems -- the camera loves Ronaldo and you know the feeling is mutual. The Portugal captain is primed and ready with a smile, a nod or a steely look of determination -- he is football's answer to Zoolander -- but whichever emotion he betrays, it is all part of the Ronaldo show. 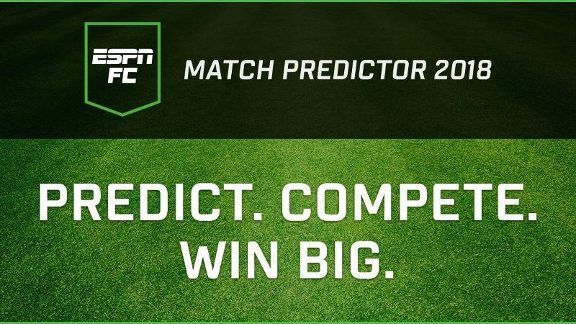 - Make your daily picks with ESPN FC Match Predictor 2018! - Which group stage World Cup matches still matter? Pressure? Ronaldo invites it, drinks it in and uses it to inspire him to the heights we have seen him scale at this World Cup in Russia, with a sensational opening game hat trick against Spain followed by his match-winning diving header against Morocco. Messi, on the other hand, appears to be a broken man, increasingly crushed by the burden of expectancy that comes with wearing Diego Maradona's old shirt for Argentina. No player has had more attempts on goal in Russia than Messi, with 12, but he has not scored with any of them, and his sharp exit from the pitch following the Croatia defeat was that of a man who wanted to be anywhere else in the world. The Messi versus Ronaldo debate will go on for eternity, long after the two men have hung up their boots. It is one that can never have a satisfactory, definitive verdict. But where the two superstars are different, and where one is clearly head and shoulders above the other, is on the international stage. Here, there is no debate. Messi may just have one more game to prove that conclusion wrong. If he cannot inspire Argentina to the victory they need to qualify for the knockout stages against Nigeria in St. Petersburg on Tuesday, that may be the end of his international road. He has already retired from international football once, following Argentina's Copa America final defeat against Chile two years ago, before performing a U-turn. But such is the burden Messi feels while representing his country, that failure this time might be the point of no return. Messi and Ronaldo are different personalities, and that is shining through in Russia. Neymar appears to fall between the two positions with Brazil, wanting the adulation and glory without the responsibility, judging by his performance and tearful postmatch reaction following Friday's nail-biting win against Costa Rica. But it is the Ronaldo-Messi contrast that is the most striking. Both men are two of the greatest footballers ever seen, perhaps THE greatest, but Ronaldo is where he is now because of an incredible work ethic and a desire to better himself. From the afternoons spent practising his technique while wearing ankle weights on the training pitch at Manchester United, to his pursuit of the perfect athlete's body approaching his mid-30s, Ronaldo pushes to be better, and the best. Portugal, a good footballing nation, but not a great one like Spain, Italy or Germany, have always had to fight hard for respect and success, just like Ronaldo. He embodies the struggles of a nation and thrives off it. Messi has never had to work quite so hard as Ronaldo, which is why his Argentina career is now becoming so difficult. After overcoming growth issues as a youngster in Argentina, he was polished by Barcelona and given the greatest stage to perform, alongside world-class players in a world-class team. The likes of Xavi and Andres Iniesta played with Messi to create a winning formula that elevated Messi onto an even higher plane. But with Argentina, he is the great hope for a heavyweight nation that is yearning for the return of long-lost success. They do not punch above their weight as Portugal do, they constantly under-deliver and have not achieved any kind of success since Maradona vacated the stage in the 1990s. Argentina needs and wants Messi to be like Maradona, but the reality is that Ronaldo is the closest thing to Maradona that we are seeing today. Maradona embodied a nation and raised it to great heights, dealing with the pressure and relishing it. Ronaldo does all of that, but Messi wants to be treated like one member of a team. He played the Maradona/Ronaldo act with the hat trick against Ecuador last October, which saved Argentina from failure to qualify for this World Cup, but once is nowhere near enough. And if Messi is to be more like Maradona and Ronaldo -- the two comparisons he dislikes most of all -- he has to deliver against Nigeria.